When Apple announced the new MacBook Pro, I was eagerly waiting to see what the replacement for my MacBook Pro that I bought in 2011 would be. Then, Apple did what Apple does and showed off a computer that is competely foreign to the workflow that I’ve built largely around Thunderbolt over the past five years or so. The lack of a built-in SD card reader is unfortunate. The lack of traditional USB and Thunderbolt ports is tragic. Make no mistake, USB-C/Thunderbolt 3 looks awesome but it’s not quite ubiquitous and I’ll have to buy dongles for every device I attach to my MacBook Pro and carry those with me, as well as a SD card reader. The Touch Bar looks cool and seems like it has potential but I’ll take a Thunderbolt port or two along with a card reader over a Touch Bar. The most useful feature I’ve seen so far is the Touch ID sensor on the bar. I could see myself enjoying this because I have multiple accounts on my MBPro that I use depending on where and what I’m working on. It would certainly save some keystrokes throughout each day. I get quite a bit of life out of my Macs. I’m pushing six years on my current MBPro and would like to see my next MBPro last five or more years again. Unfortunately, I don’t think the new MacBook Pro is the replacement I am looking for. In two or three years, the USB-C port format may be ubiquitous across Mac and PC; however, it may end up more like FireWire and never fully gain the traction that the standard USB port has. I think it is more likely to exceed the adoption of FireWire but I’m not ready to bet $2400 on that guess. I am still a bit torn; however, I think my next MacBook will be a 2015 model that have some pretty significant discounts right now. Under the hood, there isn’t a substantial step back and the port options offer everything that I think I will “need” for the next five years. Casey Neistat offered a pretty accurate summary of my feelings on the new MacBook Pro in a recent vlog. And he actually bought into the new MacBook Pro, all the while acknowledging its shortcomings. Check it out below. 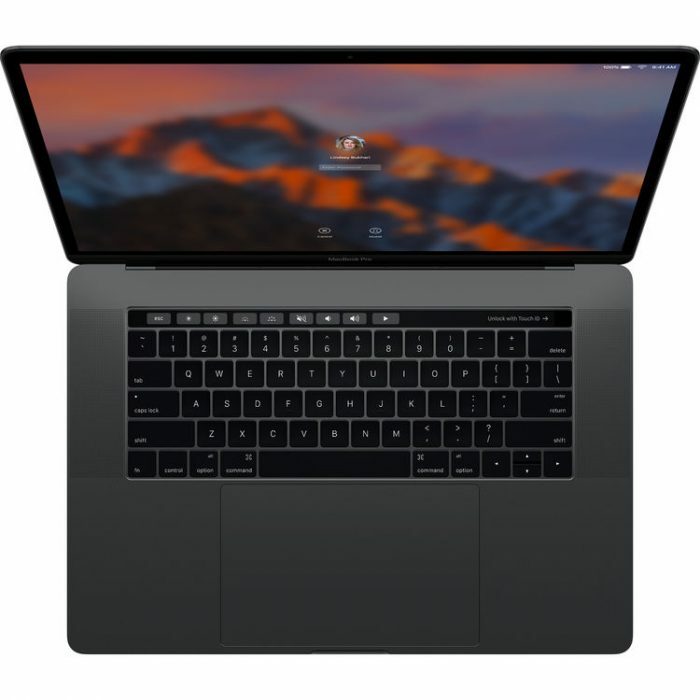 Are you a Mac user and buying a new MacBook Pro? What are your thoughts on the new model? So without a USB port how would you plug a camera in to download the picture files? I have been Mac all my life and I don’t like the sound of this. And I really don’t need a touch screen….. They expect you to buy a dongle that converts USB-C to USB-2/3. If you are lucky enough to have a monitor that has all of the ports on it, you’ll only need the one dongle. but more than likely, you’ll need a fist full of them if you travel. This is a really bad way to treat loyal Apple customers, of which I’ve been one for many years. I think there has been a comment on this from Apple saying they were expecting people to use Wifi. Note: just adding what I have read (I believe on Macgeneration). This does not reflect my opinion. I will say, the SD slot removal is fine for me. Small USB SD readers exist, but none for type-C that I’ve seen yet. With the upgrades to CFast, CF, and newer SD formats, unless they were throwing in a multi-card reader, I’m not sure long-term this is going to be useful. You even need an adapter for microSD. So why not just use a better media reader that can do all of this? What I do not like that is there are not enough high-speed readers available. We need to see some better price points. Now that there will be an increased market, maybe this market will expand? I’ll wait for 2nd or 3rd generation before jumping on board to see what sticks and doesn’t. Just not enough useful for my needs vs price. My late 2013 laptop is doing perfectly fine right now and not that far off in terms of speed/specs. As a photographer my 2012 MBP has been pretty good however the new one doesn’t look like what we want to buy into, so were ordering a Dell XPS 15 and giving that a try. I have a feeling that our relationship with MBP’s is now on the way out functionality, working and cost all play a part especially when I can buy two Dells for the same price as one MBP. What a shame! There is a part of this article I do not follow: this computer appears to have 4 Thunderbolt (3) ports, yet this post complains about the lack of Thunderbolt ? Beyond that, I do think that USB-C will have a better fate than Firewire, due to Intel interest in the matter, but on a longer run, maybe 5-10 years, as the average computer lifespan has considerably expended over the year. While I am not looking for a replacement for mine (2009 one), I also agree that the 2015 model is a better cost/performance option. It has Thunderbolt 3 ports but it uses the USB-C format, so the old Thunderbolt port format requires an adapter to work with the new MacBooks. Sorry if that wasn’t clear.